Governments often take actions -- or fail to act -- in ways that would be treated as crimes if committed by an individual or a company. Take the scandalous U.S. Education Department's Teach Grant program that defrauds idealistic young teachers. Or compare the way federal and California agencies treated Volkswagen's use of emission cheaters with the way they treat their own lack of action to head off a public health and environmental disaster, one that affects millions of Southern California consumers and could be much more harmful than the emissions from a few hundred thousand cars. U.S. Senator Barbara Boxer (D.-Calif) has tried for years to wring some action out of the various agencies that are supposed to be doing something about the Salton Sea, California's largest lake and one of the largest inland bodies of salt water in the world. "If we don't act faster than we are acting now, we will face a public health disaster and an environmental disaster," Boxer said in a speech to Southern California local officials Thursday. "There must be no backpedaling, because the dust won't wait for us to act, the birds won't wait for us to act and our children's lungs won't wait for us to act!" Environmentalists and wild life experts agree with Boxer's analysis. “The state has been dallying,” said Timothy Bradley, a professor of ecology and director of UC Irvine’s Salton Sea Initiative in a recent Los Angeles Times article. “And it would be unconscionable if it does not now shift into a very high speed to get something done. A beach that was once sandy is now mostly skeletal remains of aquatic life. 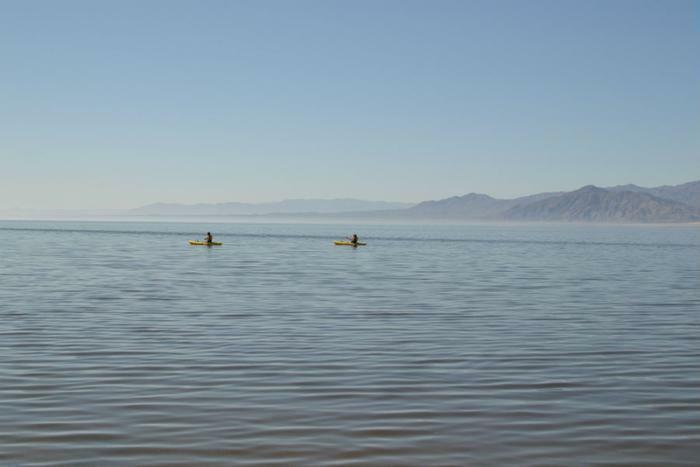 The Salton Sea was formed accidentally in the early 20th century when a dam burst and diverted the Colorado River into the Imperial Valley, creating a huge lake. When the dam was repaired a few years later, there was no longer an abundant supply of fresh water running into the lake and it began to steadily recede and become saltier, leaving a beach littered with dead fish and creating dust that contains particles of pesticides and other harmful materials from agricultural runoff that has drained into the lake for decades. The lake sometimes smells so bad that officials in Palm Springs, about 50 miles away, issue "odor alerts." A 2014 study from the Pacific Institute, a global water think-tank, found that Californians could face $70 billion in costs, ranging from lower property values to dramatically higher health care costs for respiratory illnesses, if action is not taken to save the sea. Besides posing a risk to human health, the sea is also a national wildlife priority, since it serves as a vital stopover point along the Pacific Flyway for up to two-thirds of U.S. continental bird species. A foul-smelling haze hangs over the lake at most hours. 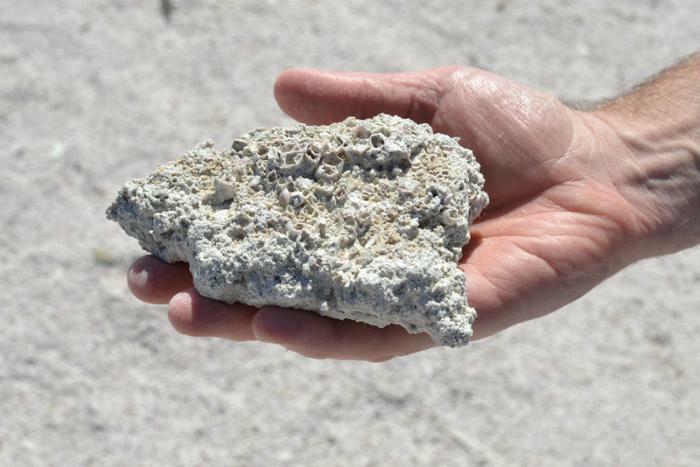 This year, California lawmakers budgeted $80.5 million, more than ever before, for Salton Sea projects aimed at bringing fresh water into the turgid sea. 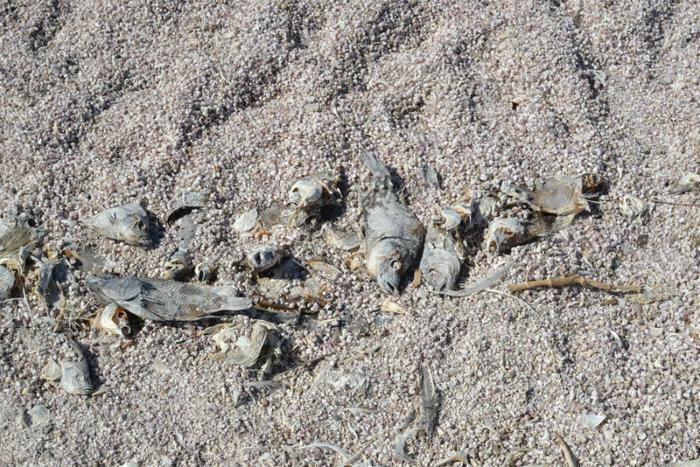 The Obama Administration also announced $3 million in allocations for Salton Sea restoration. But Boxer said the projects are not moving fast enough. She called on federal and state agencies to coordinate their efforts before conditions worsen, warned against "backpedaling," and promised she would continue to push for action even after she retires later this year. A warming climate and the continuing drought are worsening the situation, as the sea dries up at "an alarming pace," Boxer said. "Already we have seen massive fish die-offs and declining bird populations." Boxer, who has long pressed for faster action, said she will not give up even after she leaves the Senate later this year. "While I will be leaving the Senate at the end of this year, I plan to do everything in my power during that time to help the Salton Sea. And I want you to know I am not retiring. I plan to keep fighting these fights - I will just be doing it from here in California. Even after I leave the Senate, I will do everything I can to help," Boxer said. Does pollution make you fat?